We collaborate with leaders and changemakers of all spheres to distill and amplify their cause. Time.com / A Stunning Work of Art Made of 20,000 Tea Bags. "It took the artist two months to make this work of art, which was on display at the end of January in Davos, Switzerland, where the World Economic Forum was taking place." WHEN MORE IS TOO MUCH. Piercing through the static isn’t as straightforward as composing a catchy tagline or call to action. It requires a close examination of a brand’s true value and exacting a process to exemplify its strength and intended mission. At Kohlver, we specialise in identifying the exceptional within a leader’s potential, distilling the essence of their personal brand story and discovering fresh ways to share them with others. Working with Sam and having him by our side as a trusted adviser is invaluable. He challenges, inspires and provides a different perspective to ensure that value is added and expectations are exceeded. His own extended network of proven service providers enable him to deliver exceptional service. Sam is the consummate professional - punctual, detail-oriented and committed to ensuring he intimately understands your brief and delivers the result you're after. He has a real gift for being able to cut-through to the true essence of an idea, person or product. I can highly recommend working with Sam. We work closely with you to draw out defining moments from your life’s work. We help you to distinguish your very best qualities and set strategic priorities to create meaningful visibility. We define key capabilities to demonstrate and reinforce your value proposition. Quality of words, not quantity. It can be a frustrating process when the pages aren’t enough to illustrate your depth of experience. With your prospective audience in mind, we work with you to tailor a profile that distills highlights of your career. Relevant and sincere messaging is vital for communication with peers and new audiences alike. We help you refine, articulate and relate your ideas in their most powerful form. Stories are best told face to face. Partnering with skilled photographers and directors, we capture your personal brand in still, sound and motion - enhancing your story with deeper touch and effect. Take it further with good design. Complex information is made accessible through effective visuals. We approach your profile in a chronological manner to take your audience from start to call to action. We help you build a customisable keynote presentation for varying audience archetypes while retaining the essence and effect of your content. Forbes / These Women Raised Six Silicon Valley CEOs. "Both women have had very different lives but I noticed that both had three themes that made them who they are and also that impacted raising their Silicon Valley tastemaker clans." Smart Company / Why Richard Branson named an Australian entrepreneur as a star of the future. "Richard Branson has named Australian entrepreneur Holly Ransom as the person he believes will be a global force for the future." "Sam is incredibly attentive, talented and conscientious. He grasped the value of the Moonshots movement from the beginning, collaborated with us to clarify what makes it revolutionary and then assembled a team to launch our vision. It has been an absolute pleasure working with him." Engaged across the public, not-for-profit and private sectors, Sam Koh is a purpose-strategist with experience in design, brand and change leadership. Having founded boutique consultancy Kohlver in 2010, Sam is committed to serve leaders of change of all spheres. He supports them to better navigate present-day career disruption while prioritising purpose as a strategic anchor to drive decision and change. Experienced in big picture thinking and forging strategic partnerships, Sam also uncovers shared value and meaningful alignment to enhance commercial relationships. His approach brings to light the exceptional attributes and unique value propositions of each stakeholder to fully realise potential opportunities. 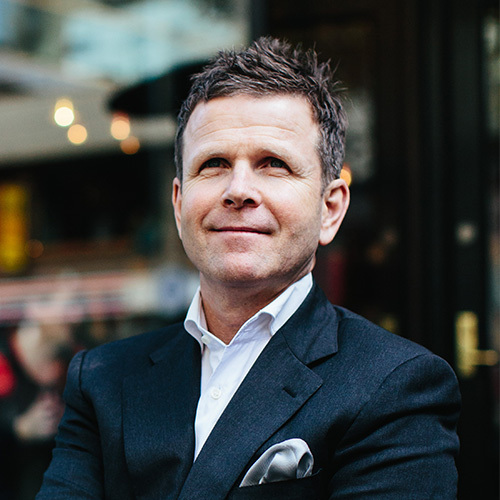 In his decade of practice, Sam has partnered with leaders and organisations such as Qantas, Marriott International, PwC, Commonwealth Bank and Europcar. In his spare time, Sam is engaged in advancing cross-sector partnerships to resolve social and economical challenges, locally and globally. "Sam has managed a few of my art projects and was fantastic to work with. From the start, he was quick to understand what needed to be done to take my art forward commercially and in the end helped me reach my financial and professional goals. He is a great communicator, negotiator, driven and always ready to problem-solve." We'd love to hear how we can support you.